Your employees need name badges! Kenberma Products, Inc. is the solution you have been looking for. Your staff represents your business to the public and you should give them everything they need to present a professional image. Kenberma Name Badges have been successfully utilized by companies to promote their businesses for over 40 years. Name Badges make it easier for your staff to establish personal relationships with your customers. Badges are at the forefront of many businesses because it is very easy to create a company-wide identification system at an economical price. In addition to making it easier for your staff and customers to interact, name tags make your staff more accountable for their behavior. Customers are also more likely to give feedback, good or bad, when they have an employee's name. 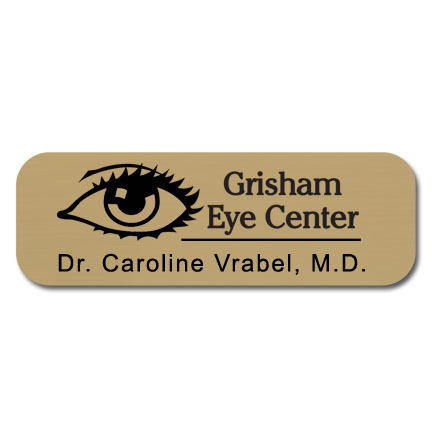 Check out all of our Name Badges by clicking here. Here are links to our most popular styles. Since 1964, our goal at Kenberma Products has been to provide quality products at reasonable prices. Our needpromos.com site has been designed to offer you our most popular promotional products and employee identification solutions. If you are looking for something different, just give us a call at 1-800-343-5978 and we will be happy to find it for you. Quality products and exceptional service are what makes us stand out from our competitors. Kenberma Products offers a 100% satisfaction guarantee on all of our name badges so there is no risk! You can be sure that you will be happy with your name badges.